DO you have what it takes to work on the world’s greatest newspaper? 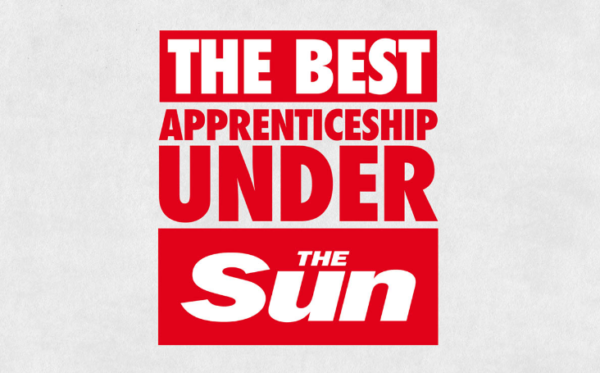 Today The Sun are launching The Sun Apprenticeship Scheme. They are searching for three Sun apprentices to train as news and sports journalists. If you’re hired you will be paid to train with the title for a year. At the end of training two of the apprentices will go on to work for Sun Sport and join Britain’s best team of sports writers. The third apprentice will work in The Sun newsroom, where every day they break the biggest and best stories. It’s the opportunity of a lifetime for three young people, aged 18 to 25. If you are a keen school leaver with at least five good GCSEs, including English, and with a passion for news or sport you can become a Sun Apprentice. You don’t have to have been to university to apply but The Sun Apprenticeship Scheme is also open to graduates. Lucy Jones, 23, went on the same training scheme the apprentices will attend and now she is a Sun TV reporter. Since landing a job on Dan Wootton’s TV Bizarre, Lucy has interviewed top stars Tom Hiddleston, James Corden, Michelle Keegan, Louis Tomlinson and Will-I-am. The three apprentices will start their training in the New Year and be mentored throughout the year by The Sun’s senior journalists. Once you have passed the NCTJ course, you will work full-time for The Sun getting valuable experience on every aspect of being a tabloid journalist. *A great work ethic and be self-motivated. *Be willing to travel without notice. A full driving license is desirable but not essential. Entries to become one of the three Sun Apprentices close on Monday, December 5. Fill out all the required fields on application form and attach your CV. Don’t forget to demonstrate your passion for either news or sport and show us just why we should hire you for the job of a lifetime.